Dr. Poonam Malhotra, MD is a Doctor primarily located in Spring Hill, FL. She has 27 years of experience. Her specialties include Family Medicine. She speaks English. The overall average patient rating of Dr. Poonam Malhotra is Great. Dr. Poonam Malhotra has been rated by 62 patients. From those 62 patients 29 of those left a comment along with their rating. The overall rating for Dr. Poonam Malhotra is 3.6 of 5.0 stars. I love all the staff, especially Lisa. Dr. P Malhotra has been our family Dr over 10 years. Very caring sincere person. Also a huge thank you to Lisa in the front office. She always goes out of her way to help with paperwork and scheduling . I've been taking my family to Dr P Malholtra for about 5 years. Dr P and her staff are very friendly and knowledgeable and have always given us great care and treatment. I'd highly recommend Dr P to anyone who needs a reliable and caring Doctor. Been going to her for over 5 years. Always excited to see me. Wonderful doctor. I love all the staff. Dr. Malhotra has been treating myself and family members for years. Very caring Dr . Lisa in the front office is amazing has been a great help to me on many occasions. I have been going to see Dr. Poonam Malhotra for a few years now. She listens to everything you say and ask her and takes the time for you highly recommend her!!! Take a minute to learn about Dr. Poonam Malhotra, MD - Family Medicine in Spring Hill, FL, in this video. Dr. Poonam Malhotra is similar to the following 4 Doctors near Spring Hill, FL. 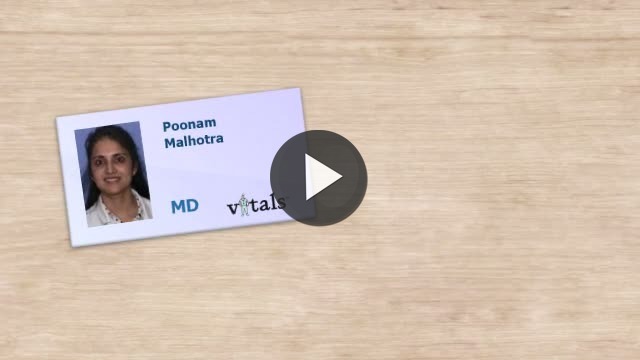 Have you had a recent visit with Dr. Poonam Malhotra? Select a star to let us know how it was.